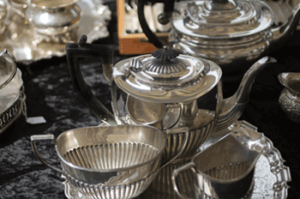 Estate sales can be stressful and traumatic, especially if you have recently lost someone, or have to move away, or simply looking to downsize. Herb’s Coin Shop will take care of your large sales of coins, collectibles, sterling, silverware, gold and silver jewelry, bullion and items that are dear to you. We are a family owned business in Port Charlotte since 1975 and we understand family. We pride in our warm and welcoming attitude. We have an A+ grade from the Better Business Bureau (BBB), because we value our customers. Herb’s Coins provides accurate appraisals of your estate coins and jewelry, for FREE. Estate sale representatives, lawyers, family members are welcome to bring in proof sets, mint sets, ancient coin sets, world coin sets, silver coins, baseball card sets, stamps, postcards, silverware, gold and silver jewelry, and we will be happy to appraise them for you, absolutely free. Herb’s Coin Shop is an Authorized Dealer of Numismatic Guaranty Corporation (NGC) and Professional Coin Grading Service (PCGS) and we provide professional advice. You have no pressure when you come to us. We also buy any or all of the items at our appraised price. 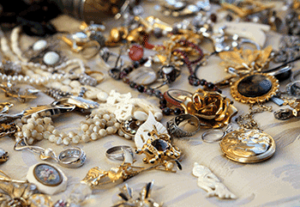 If you are not sure of the price of your valuables, bring them to us and we will able to give you top dollar. We are always looking for collectibles for our large base of collector-clients in the Port Charlotte area and online on e-Bay, and we may be able to find your valuables just the right home at the best price. Do not throw anything away; even scrap has value. We buy scrap gold and silver and give the best market price. So if you are looking to sell your estate collections or just a few individual pieces, Herb’s is the best place to come to.